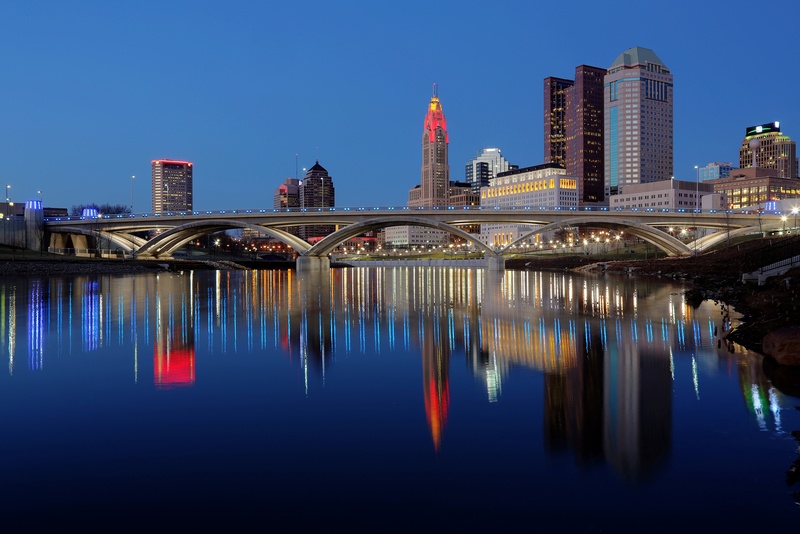 When Columbus, OH won the US Department of Transportation’s Smart City Challenge in 2015, the city moved to the forefront of the smart city movement and received over $40 million to fund its plan. The city was set to become a leader - “America’s first smart city” - setting a path for other growing cities like Austin, Denver, Kansas City, Pittsburgh and Portland to follow. Why did Columbus win the grant? For its innovative plan, with a specific focus to increase accessibility and improve the lives of all members of the Columbus community. The goal of this plan is to create a first-of-its-kind modern transportation system, combining many elements of “smart” transportation including mobility assistance, multi-modal trip planning, connected vehicle environments, smart mobility hubs, common payment systems and more. Two years and over $400 million in total pledged funding later, Columbus is gearing up to blaze a innovative new path. So far, Columbus has kicked-off its smart city initiatives with the announcement of a bold new smart mobility test center expansion coupled with workshops for residents. However, no part of the plan has officially moved into the execution phase yet. Columbus recently hired its first CIO, Mike Stevens, to oversee this, but with so many aspects to the plan, many of which will be the first of their kind to be successfully implemented in a city, it’s important to get started with something cost-effective, easy to deploy quickly and guaranteed to increase citizen satisfaction from the onset. By utilizing open data, mobile ticketing and deeplinking (deeplinking connects best-of-breed transit apps and services for seamless, frictionless city travel using your smartphone), Columbus could take a profound and quick first step towards transforming into the smart city that it aspires to become. Access to data is the key to smart city development, and a foundation for many of Columbus’ ambitions. For Columbus to become “the testing ground for intelligent-transportation systems,” it will need to collect and analyze a lot of data. Data is the blood of a smart city; without it, there’s no way to connect different systems throughout the urban ecosystem or to test and improve new technology. Opening the city’s data will spur innovation by the private sector, who can access that data to help create new technologies such as bus tracking apps or in the case of Louisville, Kentucky, a city snowplow tracking app. Mobile ticketing can contribute dramatically to the city’s collection of data by providing real-time information about how passengers are interacting with COTA. This data can then be used to inform other improvements or changes to the system, allowing the system to be more efficient and to better suit the needs of citizens. What’s more, mobile ticketing is easy to deploy, can be launched in a phased approach with minimal up-front capital expenditure and provides immediate, tangible benefit to citizens. Combining a mobile ticketing deployment with other best of breed mobile applications designed to improve a citizen’s interaction with city services, will prove that Columbus is practical and serious about becoming the nation's leading smart city. Through “deeplinking” of applications, Columbus can select the best entrepreneurs and technology to provide its citizens the best technology in the market and create a seamless transportation ecosystem, so riders can move from one app to another using the apps they already use. The recent Transit and Uber partnership is a great example of how deeplinking could improve the travel experience in Columbus. For Columbus to turn its smart city dreams into reality, it needs to get started somewhere. Implementing mobile-ticketing for its transit system is an easy win, that can be deployed in weeks and start making a real impact in rider satisfaction from the start, all while collecting valuable data that will further enable the rest of the plan. It’s a win-win for all parties involved and the CIO should take note.